For a number of years, this writer has studied the intricate issue of why certain countries, civilisations and regimes implode and / or self-destruct over a period of time. After many analyses and assessments, carried out over hundreds of years, all these civilisations were diagnosed as having suffered from severe and debilitating weaknesses in their basic structure. This was the essay I wrote in 2014, a few months before the tsunami that swept away the Congress juggernaut: http://indiafacts.org/collapse-of-dynasties-a-congress-case-study/. Basically, I studied the parallels between pre-revolutionary France in the 18th century, Tsarist Russia at the beginning of the 20th century, and the creaking structure on Raisina Hill that reeked of decay and disease. Even when the rotten and well past its sell-date Congress-UPA regime was practically obliterated by the Indian electorate, the oligarchy of the Gandhi-Nehru-Gandhi cabal made sure that the new government would have its work cut out. The new kids on the block were absolute bacchas when compared to the old bandicoots. The outgoing lot did not carry out a scorched –earth policy but something that was much more sinister, diabolical and effective. The Congresswallahs left behind carefully planted land mines, 5th columnists (in the true sense of the term) and moles in every branch of the national administration. The financial resources at the command of the embedded agent provocateurs are humongous – the bhakts and the saffronwallahs (as the nationalist forces have been contemptuously labelled by storm-troopers of the earlier junta) had absolutely no idea about what they would have to contend with, after May 2014. The basic problem that our ancient Indic civilisation grapples with is a societal fault-line that is appallingly dangerous – one that many Indians (of great sagacity and insight) do not want to face or acknowledge. This is the wedge of Islamic terror that history has bequeathed to us after Pax Britannica left our shores unceremoniously and in ignominy. ln fact, it was worse – it was a devil’s pact between the Congress and the British Government which ensures that independent India (despite its enormous progress in many fields) is viciously handicapped by a demographic time-bomb. Bhadralok Indians find it beneath their dignity to look at what is ticking below their bed. A century of Gandhian brainwashing and indoctrination has left our elite trying to whitewash the stains and to put up curtains behind which murder, mayhem, treachery and sell-outs are being planned. The entire Indian body-politic is a rotting carcass with the maggots crawling everywhere. The only institution that prevents this ancient civilisation from complete collapse is something that very few social scientists would or could have predicted – the country’s armed forces. This is a phenomenon that defies logic. How does an institution staffed by people with the same DNA and socio-cultural roots as the rest of the population resolutely manage to stay clear of the deadly (and spreading) virus that afflicts the vast majority of the other citizens? Can 5-7 years of rigid and dedicated training and indoctrination in isolated environments produce a Homo Indicus so markedly different from, and superior to, the rest of the population? The mystery is compounded by the fact that the Services are basically a colonial residue that the Anglo-Saxon rulers of Hind bequeathed to us. Somewhere down the line, they mutated into a different species. Yes, the surface symbols of the old Raj continue but there is a marked change. The professionalism andélan survive, although the overwhelming ethos, now, is a mixture of service to the nation and a lasting commitment to protect it against all dangers. In theory, the dangers that the armed forces are trained to combat and neutralise are external threats from India’s enemies. In practice, what our sword-arm is confronting is the enemy within – a scenario that is the soldier’s worst nightmare. It does not require rocket science to identify the main elements that comprise the domestic enemy. They are the bureaucracy, the 4th Estate (primarily the English MSM), the country’s Anglophone intelligentsia, the political elements allied to the old Gandhi-Nehru-Gandhi gang and others venomously opposed to the entire Indic civilisational ethos. To this explosive cocktail, we must add the commercial and economic actors who are always looking at additional profit opportunities they can extract from the unstable national scenario. Per se, this listing does not have any ranking, based on threat capabilities or risk. Let me put it in another way – all these termites are working in tandem or in a spirit of understanding. I must add a caveat at this stage or I will be accused of unprofessional exuberance about our men and women in olive green, blue and white. There are those in our armed forces who have succumbed to the lure of money, rank, privileges and position. However, this is still a minuscule and microscopic percentage compared to those on civvy street. And now, it is high time to discuss the ground realities. The key elements in the current canvas that we need to focus on are Kashmir, the North East, the Armed Forces Special Powers Act, Islamic terror from across the border and within, and the rules of engagement that the anti-terrorist operations must adopt. Let me spell out once again what is the actual situation: India, today, is facing an existential threat. If you don’t realise this, you are living in cloud-cuckoo land and you don’t need to read this essay further. Pakistan and its 5th columnists in India are using every trick in the trade to ensure continuous ferment and terror in the Kashmir valley and also in the rest of the country. There are districts and regions in the Indian Republic that have become virtual no-go areas for the agents of the Indian state. Without going into details that are available readily in the public domain, we have 5 districts in West Bengal, a number of regions in Kerala (with Mallapuram in the lead), a huge swathe in western UP, three districts in Assam, and some parts of Tamil Nadu and Bihar, where the mosque, the minaret and the mullahs rule the roost. Similarly, in large parts of the North-East, it is the gospel and the church pulpits that are more important than the Constitution and the laws of India. In the Kashmir Valley and in some areas of the North-East, the guns and the bombs are the ones doing the speaking. Never mind that this policy enunciated by Gen. Rawat should have been implemented two decades ago and without the Army Chief announcing it in public. A little later on, I will briefly refer to the way that other countries in recent times have dealt with fundamental threats to their nation’s social and political fabric. The 4th Estate had to weigh in, sooner or later. There is this female pen-pusher who came out with an obscene rant about the Army targeting “its own citizens” or some such drivel. Not to be outdone, a disgraceful weasel (most regrettably a retired Army officer) also joined the fray. This fellow has spent his last few years cavorting with a Pakistani front organisation in the U.S. and Canada to campaign for India to withdraw from Siachen. Earlier, he was pushing for the IAF to buy an American aircraft in the MMRCA deal, though it was not at all clear how he was qualified in any way to talk about fighter aircraft, since he was a glorified tank driver at best. And now a little trip back in history to find out how countries defend their basic interests when their existence is threatened. The great Emperor, Napoleon, is one of my idols. He introduced modern law and jurisprudence in Europe through the Code Napoleon, that still continues in some form or other. In March 1804, the Duke of Enghien, who was plotting with the assistance of the English to overturn the French revolutionary regime, was staying in Germany in a castle near the French border. Napoleon and his colleagues assessed the threat posed by the Duke and his English allies, and decided that Enghien had to be neutralised. A platoon of French soldiers crossed the Rhine into Germany and captured the Duke on the night of the 14/15 March. The traitor was brought back to France, tried and executed. Napoleon always maintained that the French Republic’s safety and security were paramount and had to be protected. Do we spot any resemblances with the current Indian scenario? In 1942, shortly after the German invasion, the Volga Germans in USSR were expelled from the border region where they had stayed for hundreds of years and re-located to interior areas of the country, far from the war zone. The Soviets justified it on the ground that they did not want the risk of the Volga Germans collaborating or fraternising with the invading German army. This had recently happened in many countries of Europe, particularly in Czechoslovakia, where the sizable German population in the border region of Sudetenland actively worked with Germany to destabilise the Czechoslovak Republic. The parallels between Kashmir and the events from the past are eerily similar. It is time now to get back to the present scenario. All of us, who are couch-potatoes or cannot see beyond our noses, should be clear on some basics. Ours is a culture and civilisation that has contributed immensely to human existence. If you don’t know this or even want to know it, you are bananas. Not worthy of being part of a recorded history of around 5000 years. Bollywood and biryani, Billy Bunter and Enid Blyton (like those disgraceful fellows and women in the newspaper that started from Bori Bunder) are the outer limits for your mind and intellect, or what passes for them. The only institution that stands between our survival and extinction is the Indian military. There are a number of our fellow citizens, very voluble, loud-mouthed, powerful and well-connected, who would like to mothball our armed forces. And billions who don’t know much about what they owe our soldiers, but who go to sleep every night as free Indians, whether on the pavements, jhuggis or their homes. I know which category I am proud to belong to. The dead soldier’s silence sings our national anthem! 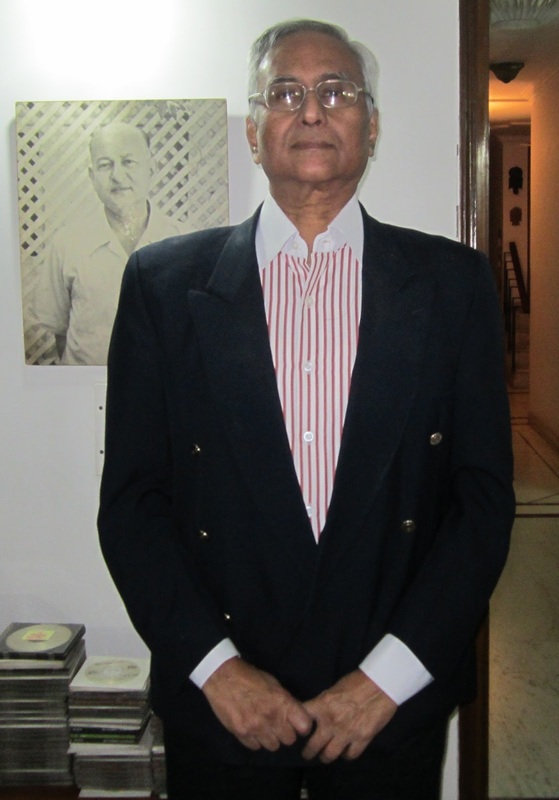 About the Author: Jay Bhattacharjee comes from a family of both Freedom-Fighters and members of the Armed Forces. He is a Delhiite and runs his own Advisory Practice in Finance and Corporate Law.